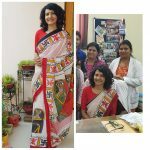 100sareepact | Unforgettable in every way!! This vibrant Orissa cotton has a very special memory attached to it. 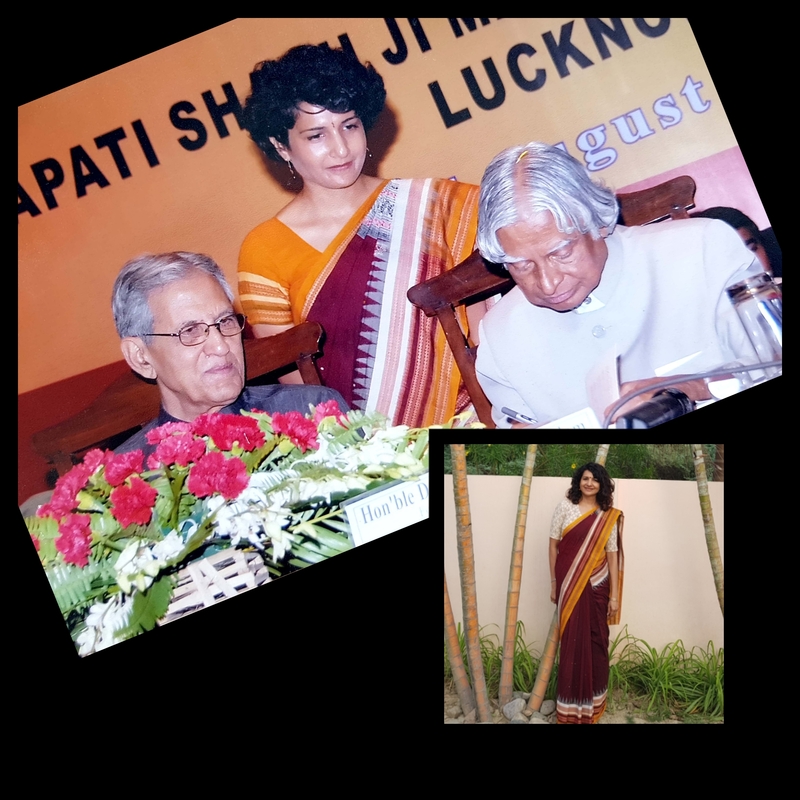 Years ago, I was anchoring a program for our Medical University, where ex-president hon’ble Dr. A. P. J. Abdul Kalam was the chief guest. Been an admirer (who isn’t!! ), having read all his books, I managed to steal an opportune moment to get my personal copy of ‘Wings of Fire’ autographed by him; ofcourse with due permission from his officer on special duty. In inset is a pic clicked recently in same saree.